The Smart Caregiver Cordless Alarm and Chair Pad immediately alerts caretakers when their patient attempts to leave their chair. 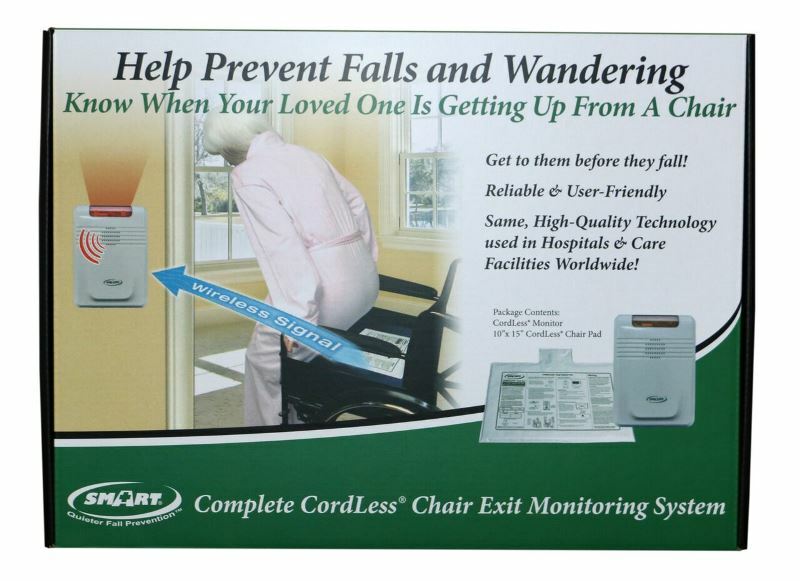 The Chair Pad provides an early warning alert system to the caretaker. This helps prevent falls, wandering off, and other unfortunate incidents. 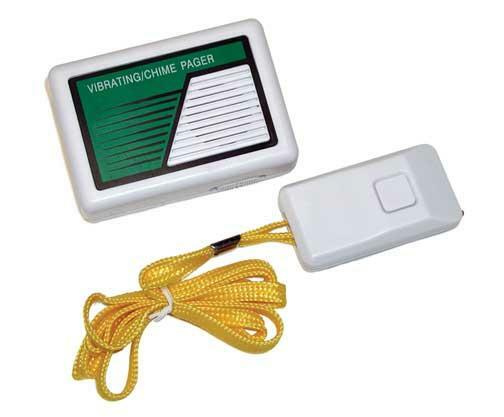 This chair pad alarm system is cord-free, wireless, pre-programmed, and is perfect for homes or small facilities. 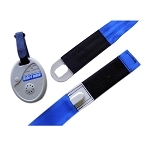 The Smart Caregiver Cordless Alarm and Chair Pad has a range between 150-300 feet. There are no cords connecting the alarm and the chair sensor pad. This allows the caregiver to place the monitor in another room so that there is no alarm going off in the room with the resident. 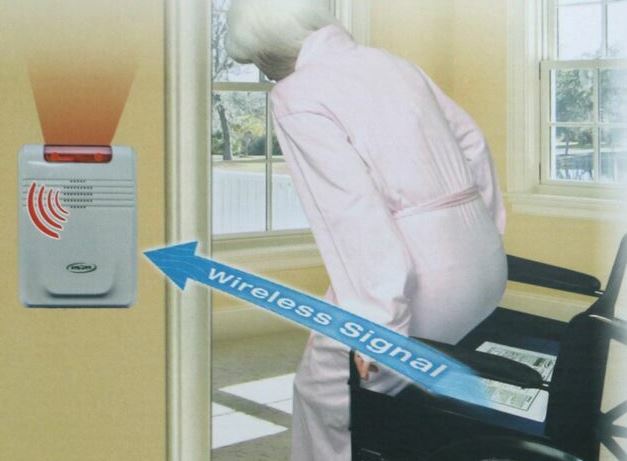 The Smart Caregiver 433EC Economy Cordless Alarm can be mounted away from the chair, removing in-room alarm noise and reducing entanglements and tripping hazards. The alarm has a low, medium, high volume adjustment, and a gentle chime alert that offers a quieter fall prevention alert. The monitor is simple-to-use and works with all 433 Cordless Sensor Pads & Mats, Nurse Call Buttons, and Motion Sensors. 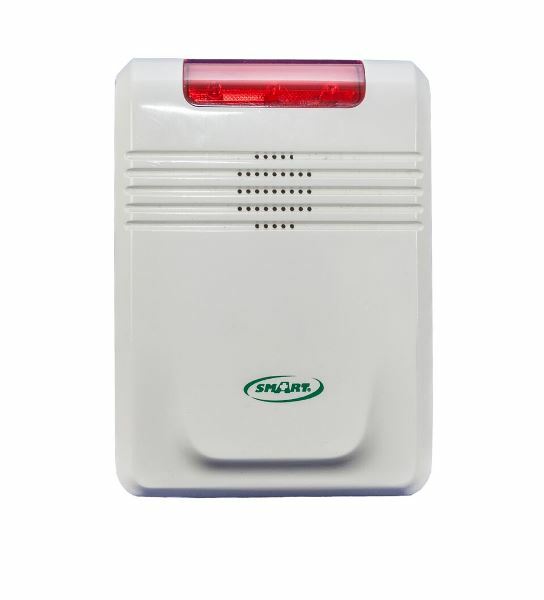 The 433EC Economy Wireless Alarm is light-weight and can be paired with up to six (6) wireless components to serve as a portable caregiver alert. 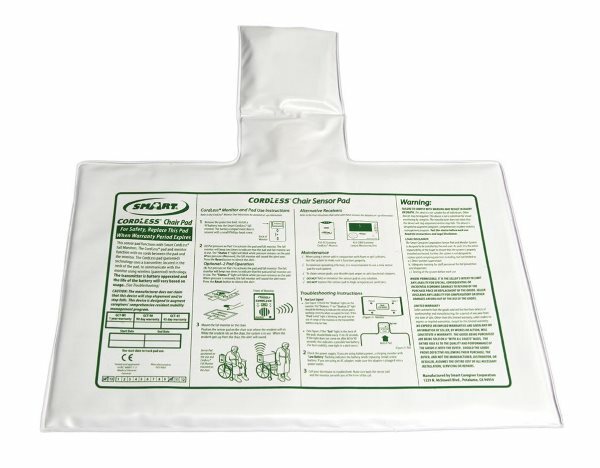 The Smart Caregiver Chair Pad is a 10 inch wide, 15 inch long sensor pad. The pad is made of soft vinyl that is easy to wipe clean and incontinence resistant. The chair sensor pad should be placed under user. When the resident removes their body weight from the pad, the monitor will alert the caregiver. The Smart Caregiver Cordless Alarm and Chair Pad is programmed, ready to use out of the box, and includes batteries for the monitor. Includes: 433EC Economy Cordless Monitor, GCT-WI 10 inch wide, 15 inch long Cordless Chair Pad with 1 year warranty, batteries, retail packaging. Alarm volume: Between 70-80 decibels. Dimensions: 3.5 inches long, 1.5 inch wide, 5 inches high. Range: 150 - 300 feet. Power: Three C batteries (included), or optional AC Adapter (AC-04). Also works with (and sold separately): 433-MS Motion Sensor, 433-NC Nurse Call button, GBTR1-10x30 inch Cordless Bed Pad, CBGBTWI 20 x 30 inch bed sensor pad, and FMT03C, FMT05C, FMT07C pressure sensing floor mats.